Virtual reality casinos are the hot topic in the iGaming industry, but how successful will they be? VegasMaster decided to ask Alexandre Tomic - CEO and cofounder of SlotsMillion Casino and cofounder of its parent company Alea Gaming - his thoughts and expert opinion on SlotsMillion’s VR Casino . Tomic is well known in the industry with over 10 years of experience in a variety of fields ranging from affiliate network owner to casino operator. 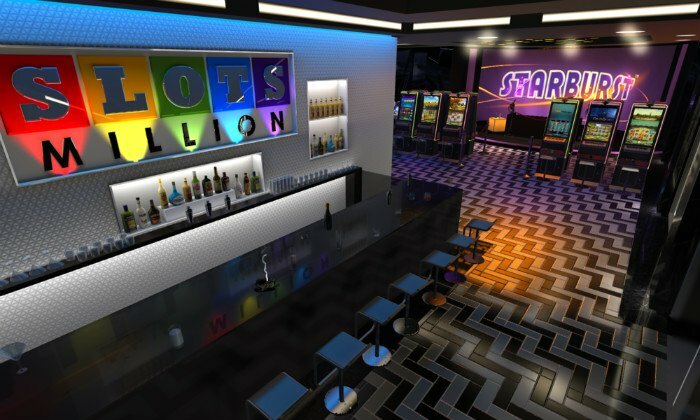 Most recently, SlotsMillion team successfully launched the first VR casino. Read our interview with Tomic below to learn more! 1. What parameters did you consider before finally deciding to launch a virtual casino feature? When the concept of a virtual reality casino first occurred to us we thought it was not only extremely cool, but also the beginning of the gaming experience of the future. It seemed to solve something problematic that we've seen in real money gaming since the beginning of online casinos - you could play while sitting on the sofa, from the comfort of your own home, but alone. Without the thrills of playing with other people and seeing them winning, the sensation of being in a casino is not the same - you don’t get that buzz that you feel when you're there in real life. Now, with VR, you've got that. It's what we have all been waiting for. Experiments have been done with 3D casinos but they didn't work - the two most important aspects, immersivity and social, were missing. But with VR, you’ve got both. 2. Have you seen any big differences regarding player behavior among players who play “normal” games compared to those who play the virtual reality versions? At the moment it's too early to notice patterns here, for the simple reason that until the last week of March, nobody had the goggles. The preordered Oculus Rift goggles were released on March 28th, with a consumer version due to come out in April. All we had before were the developer kits, which were only for developers - hence no customers playing in VR. Until now they have all been playing in 3D, but now we're going to see the first VR customers coming with Oculus and HTC Vive, and we will be able to analyse player behaviours with tools such as Unity Analytics. Without the thrills of playing with other people and seeing them winning, the sensation of being in a casino is not the same. 3. Do you think virtual gameplay can replace the current standard gameplay experience at online casinos, or is VR gaming more of an accompanied service offered by casinos? For the moment, VR gaming will be more of an enhancement to current technologies. As the technology progresses, however, it is expected that VR will surpass the gaming experiences of the past and present with its immersive environment. In our VR casino, players are already able to communicate with other users via a chat feature, and can experience levels of immersivity never before achieved in gaming, such as playing poker at a table with friends, cheering each other on, watching other friends playing slots, or watching a Netflix movie on their VR iPad, for example. SlotsMillion.com virtual casino currently offers 40+ games, but that number is sure to grow in the future. Users are also able to communicate directly with support agents simply by raising their hand or approaching their avatar, or ask security questions about any issues they may be having with deposits. The pit boss can approach players in person to grant them bonuses, and in the future affiliates will be able to bring players directly into the casino. These kinds of advancements are unique to the VR casino and can not be replicated by the current gameplay experience in online casinos, but will understandably quickly become invaluable to both casino staff and players once they become familiar with them. 4. SlotsMillion.com has a very large portfolio of games. How do you decide which of your games to convert to VR? How does the development process continue from there? When the first version of the VR casino was developed in October (we’re expecting to release the second version in June or July), we realised the technology wasn’t quite at the point that we needed it to be. Not every game was eligible to be deployed in the VR environment due to the language the game was developed in - whether it was in flash, for example - so we chose the games that we thought would work best. We are currently working on a recommendation engine that will allow us to suggest games to players upon their behaviours - for example, we could recommend games based on their volatility to players by looking at their risk profile. We also have tags and filters so players can select games based on their preferences, choosing between software providers, features, type of slot, and so on. The pit boss can approach players in person to grant them bonuses, and in the future affiliates will be able to bring players directly into the casino. 5. We know that virtual casinos are considered to be a new medium, but what were the regulations and practices you had to adopt in order to make it a reality? While in the initial stages, our product went through a lot of rigorous testing, and we put in a lot of hard work to make it the best product it could be. Our regulator, the MGA, has a reputation of being tough, so when we sat down with them we were expecting a lot of regulations and changes. They were very helpful and open-minded, however, and the process was actually quite enjoyable. Through a series of frequent meetings we developed a set of new rules for the virtual reality casino; one of the features we were interested to see them request is that when a user plays a slot for real money, there is a clock visible on screen, even when they move their head, so that they’re unable to lose track of time while in the games - unlike in the real casinos of Vegas. They say the regulations of online casinos are not as tough as those of land-based ones, but it's not true - they’re tougher! 6. Considering the current price tag of VR gear and the time it will take for people to adopt it, do you think that virtual reality will be accepted by the mainstream gambling crowd as the hype for it increases like the gaming industry predicts? Looking at the platforms that have revolutionised technology over the past few years - desktop, internet, mobile - virtual reality is on the same scale, and therefore has huge potential to reform the gaming sector. As Mark Zuckerberg pointed out, Facebook is becoming more immersive as time goes on, with photos replacing text posts and in turn being replaced by videos and, now, 360° panoramic videos as well. Virtual reality is the next logical step, but it won’t happen quickly; it may take five or ten years to enter widespread use, especially as the costs are still quite high as a high-spec gaming PC is necessary for the goggles to work properly. SlotsMillion VR Casino demo reel, an all new gaming experience in online casinos. 7. What are the social implementations you plan to incorporate with your virtual casino? Do you agree with the claim that VR can attract the young crowd who currently play at social casinos? Due to the costs of VR - the goggles and the fact that a high-spec gaming PC is required - it has been speculated that VR’s primary adopters will be gamers who have already or are more likely to invest in the equipment. Millennials have so far been reluctant to embrace casinos and slots, instead choosing games with an inherent skill-based element. Game providers are already trying to add skill-based aspects into slot games in order to reach this new generation of gamers, and virtual reality could help them achieve that by adding an extra level of immersivity. 8. What are SlotsMillion Casino’s goals and plans for the future? We have a lot of thoughts about SlotsMillion’s virtual reality casino going forward and are looking forward to developing it. Our main goal is to provide our players with the best possible experience through the use of devices such as Oculus Rift™ and HTC Vive™; and by expanding the repertoire of games from slots alone into table games and poker. We did consider making the casino compatible with Samsung Gear, but we are reluctant to do so as we currently inject the slots into VR and on mobile the quality would not reach the standards we aspire to. Therefore, since the technology is different to that of the top-tier products like Oculus Rift™ and HTC Vive™, we'll have to downgrade the experience quite a bit and we want to remain consistent in providing our players with the best. We will explore the use of the Samsung Gear, but if we're not sure we can provide a great experience then we're unlikely to use it. Keep on reading to learn more on the current state and future of VR casinos.